Well it’s finally come around – our first family outing on a Southerly. And we’ve been waiting for about 6 months since I booked it. We’ve chartered a Southerly 42RST which is, as it’s name suggests a 42′ foot yacht. However, it’s unique characteristic is its lifting keel making it capable of accessing much shallower waters than a normal yacht – a mere 84cm draft. 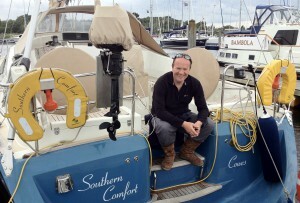 I checked her out at a recent work jolly in Lymington a few weeks ago. 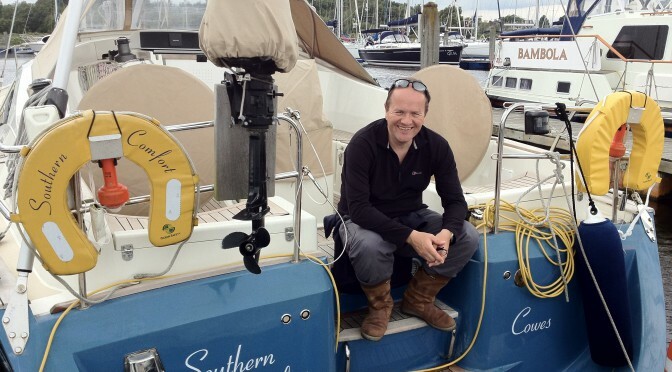 So our plan (as always subject to weather) is to sail through the Needles to Poole on Thursday and then spend the night at Brownsea Island, a National Trust nature reserve. We’ll need to lift the keel to get around the back and then as the tide falls she will dry out on the mud flats for a few hours. Looking at the charts, the shallowest part of the narrow channel dries to 0.4m which means we’ll need 1.3m on a falling tide to cover our draft. That in turn means we would have to be crossing it at the very latest by 1540 and I can’t see us getting there before 5pm due to a tidal gate at the Needles. So this clearly requires some more thought over the next 24-36 hours.